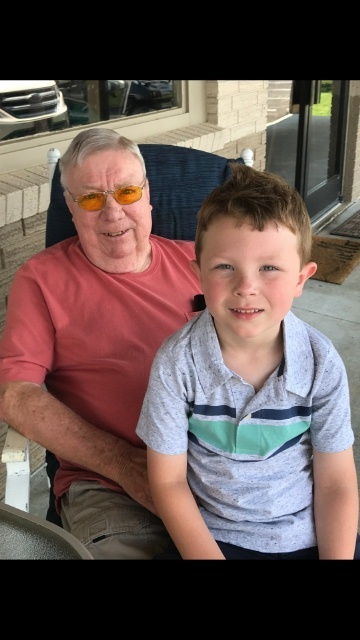 William Wayne Hill, age 77 of Hardinsburg, KY died Thursday, March 21, 2019 at Baptist Health in Louisville, KY. He was born in Bonnieville, KY on November 28, 1941. Wayne was a veteran of the United States Army having served during the Vietnam War. He retired from General Electric where he was a repairman and production worker. He was baptized at Corinth Baptist Church. Wayne was a member of the Hardinsburg VFW Post 5831 and a Mason with the Hardinsburg Masonic Lodge # 67. He enjoyed fishing, country music, square dancing and was quite the storyteller. He and his wife Mary celebrated their 59th wedding anniversary on December 5, 2019. He was preceded in death by his father John W. Hill. Funeral services will be held at Trent-Dowell Funeral Home 308 South Hardin Street Hardinsburg, KY 40143 on Sunday, March 24, 2019 at 1 PM with Rev. Joe Nottingham officiating. Burial with military honors will be in the Kingswood Cemetery. Visitation will be held at the funeral home on Saturday, 4-8 PM and Sunday after 10 AM. Expressions of sympathy are suggested to Kosair Charities or Hosparus.